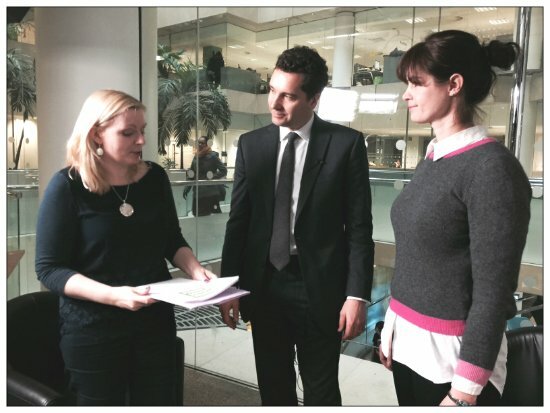 We had a surprise for the SEN Minister, Ed Timpson, when we went to interview him on video yesterday. Renata and I had headed into Westminster on a grey and dreary morning, her from a tiny bit north, me from a bit west. We were armed with a set of questions intended to elicit answers about the Local Offer, accountability and evidence for culture change. Our surprise was a dossier of direct feedback compiled from the responses you sent in about the reforms. Last Saturday, in a flash of inspiration, I bashed out a quick post asking parents, teachers and other SEND professionals for their experiences of the new SEN system so far, now that we are a term in. I thought I might get a few, considering how many people have got any meaningful way through the EHCP process. But within just a very few days, we had more than 60 responses, some very detailed. People, it appeared, were eager to pass on their experiences directly to the Minister, because they are feeling they have no one else to tell who is in a position, or of a mind, to do anything about it. It is only fair to remember that, in the grand scheme of the reforms, it's early days still and over time, processes will get bedded in and new case law will be made. But this knowledge is no comfort to everyone who, as their children are transferred from statements to a new Education, Health and Care plan, are being met with incomplete Local Offers and an air of general chaos and bewilderment. There are exceptions to this and if you've had a great experience, do let us know, because examples of good practice are vital to highlight in order to help learning for others. We would like to do this and put them on the SNJ site where parents as well as professionals can see them and adapt them for their own use. We handed over the 35 pages of feedback to Mr Timpson, who seemed very happy to receive them. He has assured us he will read them and that he'll also try to send though some answers to some of the questions that have been asked in some of the feedback. “It was fantastic to meet with the SNJ’s representatives and hear their experiences about how the reforms are affecting them and their families. “The vast majority of feedback I have received has been positive, but we are always keen to identify where improvements can be made. Next week we will be having a series of posts with the interview broken down into three chunks - because we know you don't have time to listen to half an hour in one go and also because there is a lot of information in each clip. Sign up to post alerts if you're not already! For now, here is a teaser of what's to come, about the importance of involving parents in planning for family services. Ladies, you are amazing. What you do for families is nothing short of miraculous. Thank you from the bottom of my heart for fighting our corner bravely. I was thinking the same thing, Steph. It makes me wonder if the people reporting back to the minister are giving him the unvarnished truth- or of the people giving THEM feedback are being honest. At least our feedback is the whole truth as seen by the parents who responded – our readers are nothing but frank!